Concussion Focus, What Is It? 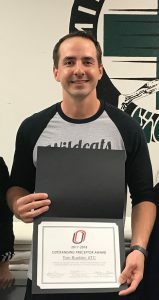 Over my five years as a physical therapist, I have been a part of many teams and have taken on many different roles, each of which has grown me as a professional and as a person. One of my favorite roles is serving with the Concussion Focus team. Today I want to tell you a little about the team and what we do! Concussion Focus was originally started in the midst of a rising awareness of concussions. At that time, there were few multidisciplinary options for concussion treatment. Concussion Focus brought together physicians, physical therapists, psychiatrists, athletic trainers, and people passionate about and well trained in concussion management. The Concussion Focus team continues to meet every other month. 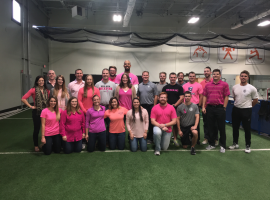 The team is unique as we each represent separate organizations, but when we gather to meet we all take off those hats and come together to do our best to impact concussion treatment. In our meetings, we discuss ways to support each person’s individual efforts in regard to concussions, share current research and swap case studies. We also set a goal each year as a group to get the word out about advancement in concussion treatment. This year we will be writing a series of blogs as a team with the intent of helping to provide resources to people dealing with concussions. If you would like to learn more about concussions or Concussion Focus, please go to concussionfocus.org. Be on the lookout for more blogs to come from my colleagues on the Concussion Focus team! If you are suffering from post-concussion symptoms, you may feel helpless and think there is no way to help speed up the process of recovery. But there is a way! 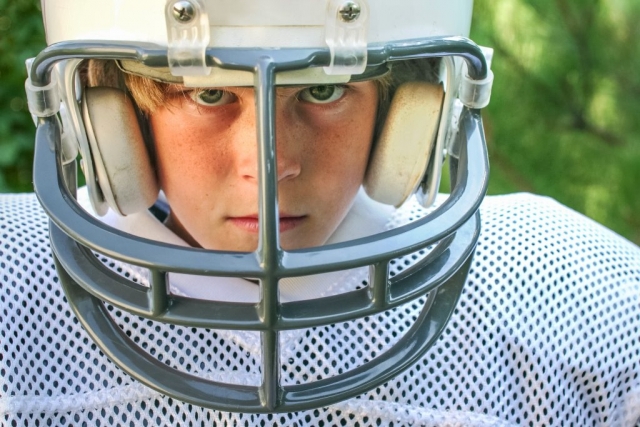 3 Unexpected Treatments for Concussions – That Work! The care and treatment of concussions have become one of the fastest growing priorities in the medical community in the last several years and rightfully so. Concussions are now more widely recognized in the world of sports, in work safety and in the medical world than ever before. According to the CDC, a concussion is a type of traumatic brain injury caused by a bump, blow, or jolt to the head that can change the way your brain normally works. 1 out of every 5 people who sustain a concussion WILL NOT recover in the normal 2-3 week time frame. Though they may appear to be functioning just fine, people suffering from a concussion may be dealing with an array of symptoms. These symptoms include time lost from school/work, time out of sports, headaches, dizziness, nausea, balance problems, fatigue, and the list could go on. If you have had a concussion and are struggling with fully recovering, don’t wait any longer. Click the button below to schedule a consultation. This entry was posted in Blogs, Physical Therapy and tagged focus, omaha, Concussion, Treatment on August 29, 2018 by Athletes' Training Center. Lower Back Pain? Don’t Drag Your Feet! Okay, that sounds more like the start of the motivational speech my parents used to give me when I was younger. Many of you may be asking yourself what does shuffling my feet on the ground have to do with low back pain? Well, a lot more than you might think. When referencing lower back pain, this is the speech I find myself giving to more and more of my patients. When we look down at the ground, we tend to bring our body into a position of trunk flexion. By this, I mean that your chest is coming forward over your toes. When this occurs, our center of mass starts to move forward and we create an anterior tilt through our pelvis. When our center of mass comes forward we adjust our body position to maintain our balance by extending through our lower back and, on occasion, by going up onto our toes. The body corrects its position to maintain balance with changes being processed by the change in our visual field by looking down. When we shuffle our feet, we typically create the habit of making our initial foot contact with the toes pointed down and then sliding the foot forward instead of actually rolling across the foot as one would walk with a normal gait. A normal gait is to make initial contact with the heel and push off the toes. When I see people shuffle their feet, there is also a tendency toward reducing the amount of contact the heel makes with the ground. We refer to this as an ‘early heel rise gait’ and will often see this gait pattern in toe walkers. These individuals will hardly make contact with the ground through their heels. When we ambulate with this gait pattern, much like when we look down, we translate our center of mass forward. Again, to correct we typically go into back extension. These tendencies toward back extension are what lead to the long-term potential problems. First, there are the anatomical stresses that long-term extension can create. These conditions are often seen in increased arthritic changes in the lower back due to the increased stress through the facet joints in the spine. Next, there is the tendency toward using you back extensors to perform lifting activities. Since these muscles are already being engaged to help you maintain your balance they will often fire more when you are lifting something leading to the increased likelihood of a potential muscle strain. The next time you are out for a run or a walk my advice is to look up and enjoy the scenery and think about that nice heel to toe gait pattern. Your back and the rest of your body will appreciate you for it in the long run! This entry was posted in Blogs, Fitness, Physical Therapy and tagged lower, low, back, pain, Treatment on August 28, 2018 by Athletes' Training Center. Is your breathing helping or hurting your daily performance? The average person will take more than 8 million breaths per year! Yet, chances are you may not be taking the proper steps for your breath to properly serve you in day-to-day activities and workouts. Today, I will go over three simple tests you can use to improve your workout, mood and manage stress levels. Place your right hand with the thumb below the ribs and the center of the palm on the abs (as if you had a tummy ache). Take the left hand and place it on the chest, centered on the ribs. Finally, inhale through your nose and out through your mouth. Ideally, you should feel your stomach begin to expand before your chest and shoulders move. There should have been minimal movement in your upper hand. This means your extremely strong breathing muscle, called the diaphragm, is doing its job! Breathing is an involuntary muscular action, meaning we don’t have to think about it. Because of this, many people are not able to fill their lungs to full volume. When this occurs, it is called a “chest breath”. A chest breath is a type of breathing when the diaphragm is not involved, and we are not using our lungs to their full capacity. This type of breathing causes the body to enter a response state called “Fight or Flight”. This type of body response is what we feel when we encounter a bear and must make the choice to defend ourselves or run. When our bodies are in this type of response, it causes a release of stress hormones to the body. These stress hormones are highly inflammatory and negative to the brain and body’s performance over a long period. To help eliminate the release of stress hormones throughout the day, try this exercise. If you feel groggy or tired, try this exercise. Finally, to prepare your body for a workout, try this breathing exercise. As we breathe all day without much thought, it is important we become aware of how we are breathing. Being able to control breathing will help you become more mindful and feel better throughout the day! Try these three exercises out and see a difference in your mood and activity. This entry was posted in Blogs, Fitness, Physical Therapy, Sports Performance, Advice on July 16, 2018 by Athletes' Training Center. No Gym, No Weights, No Problem! 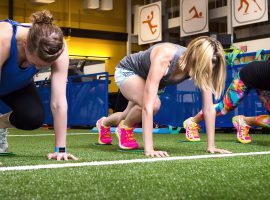 As we begin setting up our summer vacation travel plans, it is also important to plan ahead for making sure we keep our strength training and exercise plan in action during our trip. 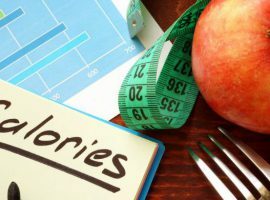 Today, I will outline simple steps needed in order to plan your vacation exercise routine and I will cover a 30-minute vacation exercise circuit. Before you take off on your travels, be sure to let your coach or trainer know at least two weeks in advance you will be out of town. Why is this important? Two reasons. The first is so they aren’t wondering where you are or if you are skipping out on your sessions. The second reason is so they can provide you with a training routine to complete during your vacation. Once you have let your coach or trainer know you will be out of town, the second step is to research if there are any gyms in the area you will be traveling. Is there a gym in the hotel you are staying? If there is not, you may have to plan for implementing body weight exercises inside your hotel room. No matter what amenities you have available, it’s all about utilizing what you have to continue toward your exercise goals. Your coach or trainer will then give you the routine with enough time in advance, in case you may have questions before leaving on vacation. I have put together a body weight exercise plan you can complete anywhere. Remember, vacation is a time to relax. But, with a little effort each day you can also continue working towards your exercise goals. Even if it comes down to a few 30-minute routines during a week-long trip, you will not regret the effort once you get back to your everyday routine. This is a perfect exercise finisher if you feel like adding another element to your routine. 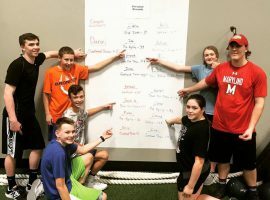 This entry was posted in Blogs, Fitness, Physical Therapy, Sports Performance and tagged vacation on June 17, 2018 by Athletes' Training Center. 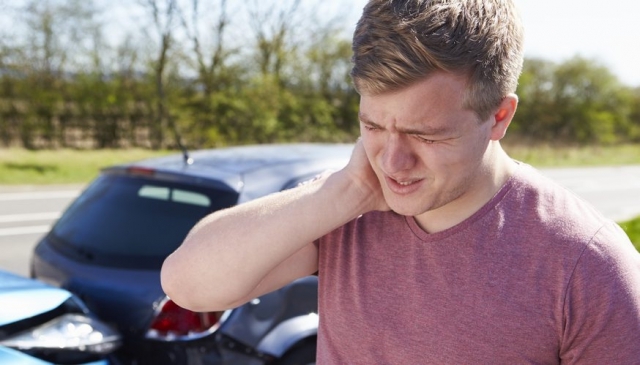 Late spring into early summer is one of the most common times we see shoulder and elbow injuries. A lot of parents often ask me what “warning signs” they should be looking for with their son or daughter’s arm pain. Most importantly they want to know if the pain is serious or not. To a certain extent, we come from a place where we believe the motto “no pain, no gain”, and in some cases, I fully agree with that mindset. But at other times, this mindset can be very detrimental. How do you determine which pain is okay to play through and which pain is not? Here are four common arm pain areas to evaluate and guidelines to help you decide if your athlete should get the area checked out. 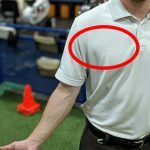 Pain and soreness in the shoulder are not uncommon with athletes, but the key is where the pain is located. Pain and soreness in the back of the shoulder usually occur when athletes use their arm to throw or serve. The muscles in the back of the shoulder often get strained. They are small muscles and take on a lot of force when the arm is stopping after a throw or a swing. Typically, this soreness gets better by the next day and eventually the muscles get stronger so the pain does not return. Front shoulder pain is a whole different issue. We consider this pain to be concerning, and it should be closely monitored. Structures like the front ligaments of the shoulder, the labrum (cartilage in the shoulder), and parts of the rotator cuff are all stressed during overhead movements. If your athletes are complaining of pain here, this is NOT the pain they should try to play through. 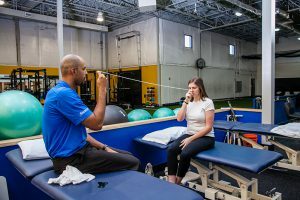 The pain can go away on its own; however, if the pain persists for more than three days or if it occurs every time they try to play their sport, go have it furthered examined by a physical therapist or a licensed health care professional. Pain and soreness aren’t commonly experienced on the outside of the upper arm as the deltiod muscle is just about the only muscle in that area. Pain here, especially in adolescent athletes, is usually a sign of an injury to the growth plate of the upper arm. Have you ever heard the term “little leaguer’s shoulder”? 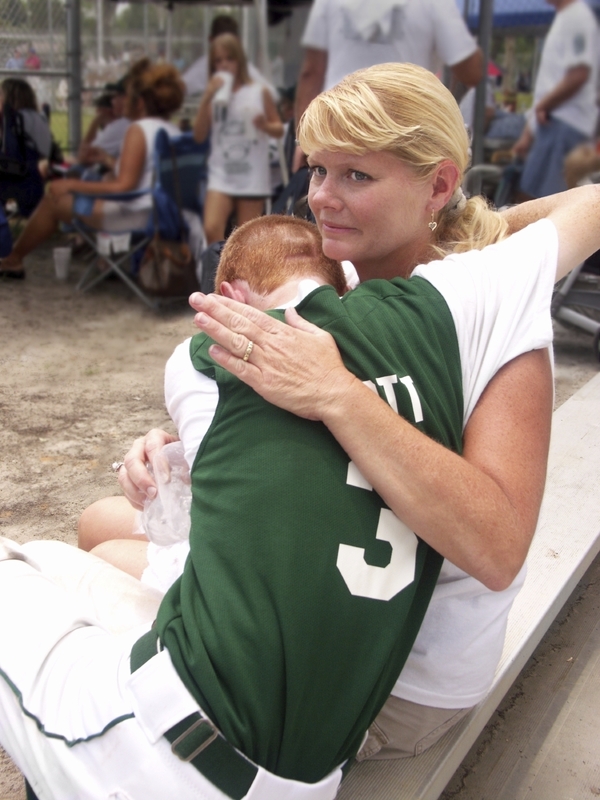 Little leaguer’s shoulder can have delayed healing and significant downtime if left unaddressed. Again, like in the shoulder, this pain can go away fairly quickly. 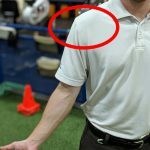 However, if it becomes persistent or happens every time the athlete tries to use their arm for activity, it is time to have it checked out. Pain and soreness in the elbow are not as common as the shoulder and tends not to be bothersome – unless the athlete is throwing or serving. This infrequency is why I think people don’t have this area looked at as much or soon enough. 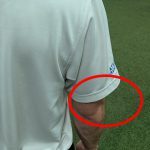 The inner elbow is home to some key structures that are stressed during overhead movements. The ulnar collateral ligament (Tommy John ligament) and the inner elbow growth plate (little leaguer’s elbow) are the most significant. Once these areas start developing pain, they are usually past the mild stage and are typically in the damage stage. The outer elbow rarely develops pain and usually does not develop pain without previously having inner elbow pain. Pain in the outer elbow can be significant such as a cartilage lesion on one of the forearm bones. This damage happens from over-compression in the joint, commonly due to a loose ulnar collateral ligament. Like the inner elbow, by the time this area becomes painful, the damage has already set in. Pain localized to the inner or outer elbow should not be dismissed as the consequences can be detrimental to the longer term health of the elbow. Pain and soreness in muscle tissue is rarely a “red flag” for us. Injuries to muscles can definitely be painful but more times than not, they will resolve on their own in a reasonable amount of time. The biceps and triceps are the muscles most susceptible to getting strained in sports like baseball, softball, and tennis. A lot of the time the pain is located in the middle of the muscle or, for tricep pain, down by the elbow joint. Again, these pains usually go away quickly and usually respond well to light to medium massage. If for some reason, the pain is not fully gone in a couple weeks, then I would recommend getting it checked out. As your athlete participates in the common summer sports, pain and soreness can and will happen. The key as parents is to continuously monitor the symptoms and use the guidelines above to help determine severity. If the pain falls into one of the key areas, don’t be that parent that finally takes their kid in only to find out they fractured their growth plate. On the flip side, if the pain isn’t too bad, “go rub some dirt on it” is sound advice! 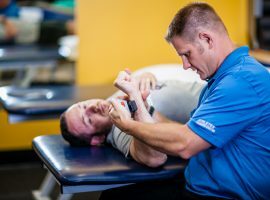 When in doubt give us a call 402.932.7111 if you have any questions about your athletes’ arm pain. We’d be happy to answer any questions you may have! 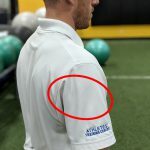 This entry was posted in Blogs, Physical Therapy, Advice and tagged doctor, arm, pain, Treatment on May 24, 2018 by Athletes' Training Center. Becky Docter is an Athletic Trainer who joined Children’s Hospital & Medical Center in 2016. Previously, she spent a decade working as an Athletic Trainer in the secondary school setting in Omaha. She continues to advocate for education in youth concussion across the state of Nebraska. 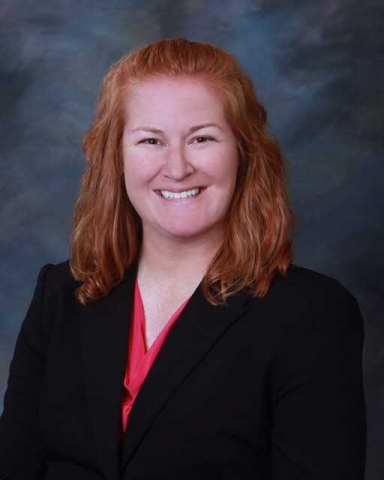 She Co-Chairs the Metro Brain Injury Regional School Support Team (BIRSST) and serves on multiple concussion education groups including Concussion Focus.org and Concussion Coalition. Becky received her Bachelor’s degree from Doane College and her Master’s degree from the University of Nebraska at Omaha. 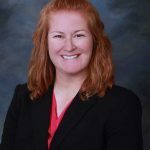 She is very involved in professional service on the state level serving on the education committee for Nebraska State Athletic Trainer’s Association, (NSATA) serving on the Department of Health and Human Services (DHHS) Athletic Training Board, and working with the Board of Certification (BOC) to create standards for professional education in athletic training. Becky and her husband just welcomed their first baby boy to their family this May. Return to Learn is an amendment to the Concussion Awareness Act that was passed in July 2012. The Return to Learn Amendment was added in July 2014, stating that a return to learn protocol be established for students that have sustained a concussion. The protocol shall recognize that students who have sustained a concussion and returned to school may need informal or formal accommodations, modifications of curriculum, and monitoring by medical or academic staff until the student has fully recovered. What is ConcussionFocus? Concussion Focus is a collaborative group of healthcare professionals in the Omaha and surrounding area that decided to come together to provide a team approach to concussion management. Representing the areas of family medicine, pediatrics, neurology, athletic training, physical therapy, and other disciplines allow each professional to offer expertise in their field while communications with each other to best serve the patient’s needs. This entry was posted in Blogs, Physical Therapy and tagged focus, rehab, Concussion on May 14, 2018 by Athletes' Training Center. Returning to work after a head injury poses unique challenges. It may seem unclear what steps to take or how far you should push yourself as you return to work. A good place to start would be discussing the situation with your employer and physician. 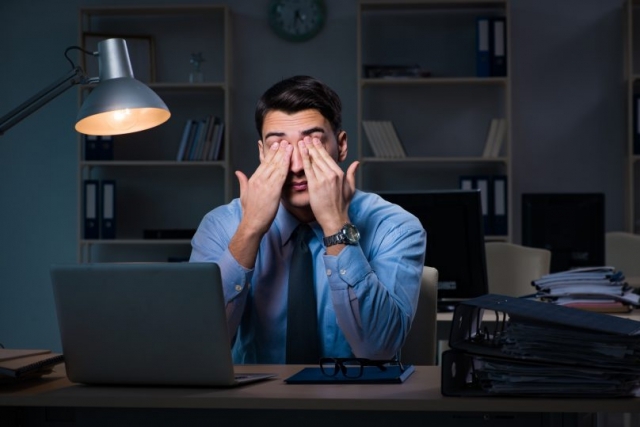 A sudden noise, bright lights, a computer screen, physical exertion or mental activity may not be well tolerated by the recovering brain. It is most helpful to me when patients bring a list of job expectations to their office visit so we can develop a reasonable plan for modifying their work and predict which aspects may cause problems. 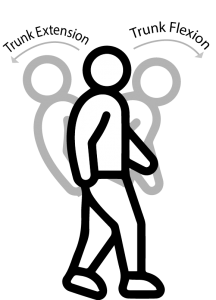 Job Details: Driving expectations, screen time, noise levels, physical activity and levels of responsibility/decision making are very important to know when formulating a reasonable return to work plan. 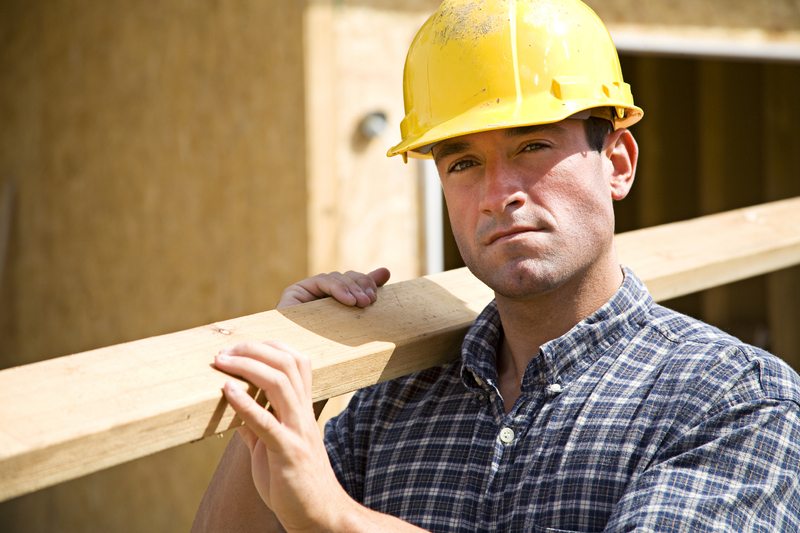 You may need to start with a few days off from work (or longer) to start your recovery. When you are ready to start back to work, sometimes working a few hours at a time or half days are more appropriate. It is common to experience fatigue and mental exhaustion at the end of the day or the end of a week. Making adjustments such as doing more challenging work at the start of the day might help. Even though you are able to return to work, you may find frequent breaks to be helpful, even necessary. Changing the settings on screens to include larger text and lower brightness. Adjust lighting in the workspace. Try using noise canceling earphones/earbuds. These changes may help provide fewer stimuli and relief to a brain while it is still recovering. Once you are back to work, try to avoid situations where you have to learn new skills if possible. Training and testing are generally less successful while you are healing. Use extra caution in high-risk jobs, especially those with little margin for error. Try to get a good night sleep between work shifts. Worsening concussion symptoms or fatigue might be a sign that you are doing too much too fast. If you can identify triggers that make your symptoms worse, be sure to bring these up so efforts can be made to avoid or minimize these triggers. For example, multitasking may be more difficult than working on one task at a time. Above all patience can be your best friend. Focus on what you are able to do and take one day at a time. Pushing through does not lend itself to a faster recovery. If you have any further questions or concerns feel free to email any one of us at the concussion focus team. This entry was posted in Blogs, Physical Therapy and tagged focus, rehab, Concussion on April 19, 2018 by Athletes' Training Center. 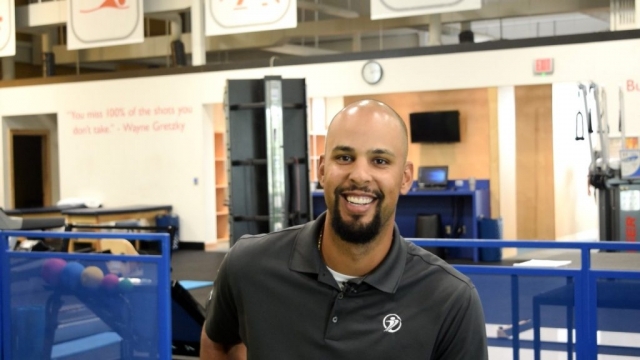 Hello, my name is Josiah Parker, PT, DPT, I am a physical therapist at Athletes’ Training Center. Although I treat a wide array of patients, concussions are one of my favorite areas to treat. I’ve attended courses at the University of Pittsburg and the American Academy of Neurology for specialized training in this area. We have learned so much about concussions over the last 10 years but there is so much left to be learned. This influx of information has been great for the rehabilitation of patients with concussions however, there is still a ton of misinformation out in the public. 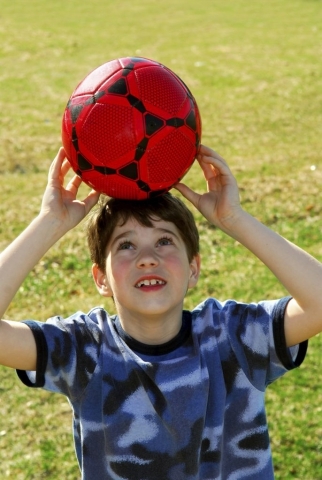 My goal with today’s blog is to shed some light on some of these common concussion myths. False, I see many patients who get concussions from everyday activities such as work, driving, etc. False, I would say from my experience less than 20 percent of the concussions I see experience a loss of consciousness. The biggest predictor of a longer recovery after a concussion is actually feeling dizzy after sustaining a concussion. False, rest is very important after a concussion but simply cocooning yourself after a concussion is detrimental if done for longer than 48 hours. After that 48 hours sleep continues to be very important and should be prioritized but along with this, a slow progression back into activities is very important for full recovery. False, helmets are very effective at preventing injuries such as skull fractures but concussions can be caused by the brain-twisting inside the skull or hitting the front and back of the skull. Both of these mechanisms of injury are not prevented through helmet use. Don’t get me wrong helmets are a good thing to wear but they are not a foolproof way to prevent a concussion. False, neither one of these scans are able to detect a concussion. They are able to rule out more serious conditions such as a brain bleed but concussion damage is on a more microscopic level which is not picked up on these scans. False, uninterrupted sleep is very important after a concussion, especially in that initial 48-hour window. There is not any research showing interrupting sleep is helpful even on the first night after a concussion. False, many concussions resolve quickly with little to no long-term effects. However, the more concussions someone gets the longer symptoms last and the more intense they are. There are some people who have lasting symptoms for months or even years after a concussion. Therefore though most concussions are not life-threatening, may be life-altering. 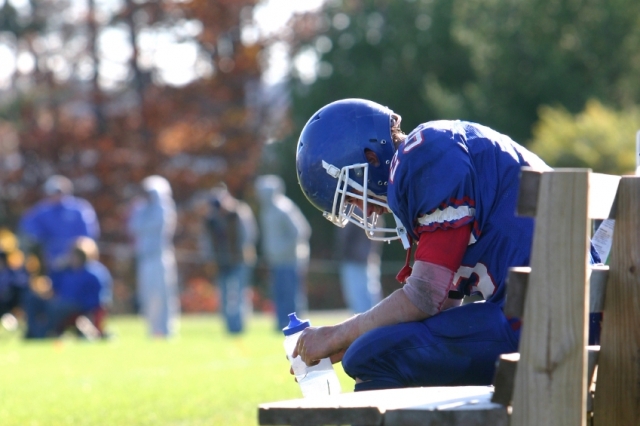 The effects of these concussions cause interruption in daily activities, making the return to work/school challenging and can be very frustrating. This is not an all-inclusive list but as you can see there are many wrong ideas about concussions. If you or someone you know are suffering from post-concussion symptoms, know there is help available and many times rehabilitation can help to speed up the recovery process. Use the information below to get in contact with someone who can help guide this process for you! 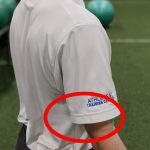 This entry was posted in Blogs, Physical Therapy and tagged learn, return, to, therapy, Concussion on April 19, 2018 by Athletes' Training Center. I hate seeing young athletes hurt. There may not be a worse feeling than telling a young, energetic, baseball loving athlete they need stop playing for a while so we can get them through an injury. Now, I appreciate there are some injuries that are completely unavoidable and these injuries are the nature of playing sports. On the other hand, some of the injuries I see in the clinic have the potential to be avoided with a little extra knowledge and a keen eye. In this post I will cover some of the common mistakes to look for in your young throwers. I will also share how these mistakes can lead to less than optimal performance and how they create the potential for injury. This error is one that can have a detrimental effect on the rest of the throwing cycle because if the hand break is delayed it forces the thrower to have to catch up in the sequence of the throwing motion. As the pitcher begins to come out of his balance position and his front knee begins to lower, his hands should begin to separate from the glove. In doing so, he will not be rushed to get the arm into the proper position or slot when he starts delivering the ball. We were all taught as kids when you bring the ball out of the glove the arm should follow a “C” path or “down, back, and up”. The reason we were taught this was because it gets the arm in the right position for effective delivery. The common faulty arm path I see is the ball coming down and behind the pitcher after it exits the glove. 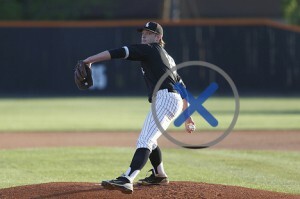 Now the pitcher has to hurry up to get his arm in the proper position for delivery. If his timing is not just right, it leads to the next mistake. Once a thrower starts turning his chest toward the target, the throwing arm should be in sync with the torso, or in other words, they should move together at the same time. Have you ever seen a young pitcher make a throw and it looked like his hand was still pointing at the short stop when his chest was facing the catcher? That is lagging. The arm is trailing behind the body’s movement toward the plate. 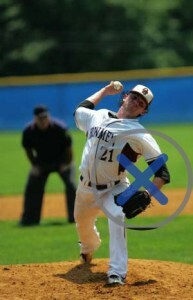 In my opinion, this mistake is the NUMBER #1 cause of shoulder and elbow injuries in young throwers. 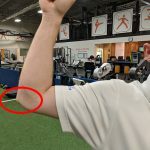 Right up there with “down, back, and up”, “tuck your front side elbow” was probably the next thing I remember all my coaches preaching – and rightfully so. When a thrower is delivering the ball to the catcher, all his momentum should be driven forward toward the catcher. If the front side arm is away from the body, it creates a spinning effect drifting the pitcher off to the side and not toward the catcher. This error has two consequences. 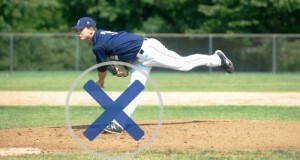 First, the pitcher has a harder time locating his pitches because it is hard to time a spinning motion. Second, now the pitcher lands unbalanced and often is not ready to field a ball or protect himself if the ball is hit back toward him. Now this on e sounds bad. I do not mean the pitcher actually “breaks” his lead leg. I mean the pitcher is applying the brakes through his lead leg. When a pitcher is delivering a ball, his momentum shifts his weight from his back leg to his lead leg. When this happens the lead leg’s knee is supposed to be athletically bent. Breaking the lead leg is when the pitcher rapidly and often violently snaps his knee straight as he is shifting weight onto it. This error stops all forward momentum and energy thus forcing the arm to make up the difference in order to attain to the desired velocity. 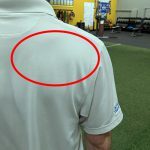 This mistake is the NUMBER #2 cause of shoulder and elbow injuries I see. Coaches have an incredibly tough job when it comes to developing young pitchers. I have discovered in my time of working with young baseball players there are a lot of kids ‘throwing’ off the mound and very few ‘pitching’ off the mound. Having a keen eye and keeping these mistakes in mind will help your young pitcher stay healthy and develop a great foundation for pitching! Question: How are your young thrower’s mechanics? Have you noticed any other common mistakes? You can leave a comment below. This entry was posted in Blogs, Physical Therapy, Sports Performance, Advice on March 8, 2018 by Athletes' Training Center. 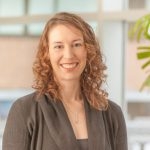 Rebecca is a graduate of Creighton University Medical School and Clarkson Family Medicine Residency. She is a board certified Family Medicine Physician. Rebecca began managing athlete concussions in 2010 when she became one of the first ImPACT certified physicians in Nebraska. She has continued to assist concussion patients in private practice and more recently at Methodist Physicians Clinic in Omaha, Nebraska. Her concussion patients now extend beyond athletes to include all age groups, as is consistent with family medicine, and varying degrees of head injury from acute concussions to post-concussion syndrome. Rebecca continues to be active in Concussion Focus and concussion education in the Omaha community. Her goal in treating concussion patients is to understand where they are in their recovery, help them through with the resources we have available and return them to their fullest quality of life after these most unfortunate head bumps. Ah, sleep! It is oh so important when you are recovering from a concussion, but what do you do when the injured brain does not want to sleep? Sleep habits become more essential post-concussion. Scheduling regular sleep, wake times, and sticking to them helps. Here are a few tips you can implement to help manage sleep after a concussion. Aim for 7-9 hours of sleep per night. Minimize screen usage such as phones, computers, TVs, and reducing exposure to brighter lights before bed will help. Try relaxing activities, meditation, stretching or reading if tolerated can be helpful before bed. A short nap can be okay during the day, but if it starts to impair your ability to fall asleep, you may want to limit the duration of the daytime resting or eliminate it all together. Physical activity is helpful during the day if you can tolerate some, but physical activity just before bedtime can make you more alert. Decreasing or eliminating caffeine helps as well. And what if these tactics still do not work? Sometimes an over the counter sleep aid like melatonin starting at a dose of 1 mg – 3 mg can be helpful to drift off to sleep easier. If headaches are a bother as well, Tylenol or Ibuprofen, at an appropriate dose for your age, prior to sleep may help. You may also want to talk with your physician about medications that can diminish headaches as well as assist in sleep. Overall it is perfectly reasonable to start examining and modifying sleep habits. It may take some discipline and patience as you try a few nights with your new sleep routine. This course has no side effects and could lead to fewer concussion symptoms. If the concussion, however, has caused more difficult to manage sleep cycles, do not hesitate to seek help. This entry was posted in Blogs, Physical Therapy, Advice and tagged sleep, physical, symptoms, therapy, Concussion, Treatment on February 19, 2018 by Athletes' Training Center. Concussion. There it is. That word that everyone knows about but no one wants to talk about. The second I say the word “Concussion” I see the reaction on the face of the athlete, the parent and the coach: Fear, anger, confusion, disbelief, skepticism, disapproval, disappointment, concern, and even sometimes acceptance. Over the last several decades the way we understand and manage concussions has evolved immensely and if you ask any person trained in concussion management they will tell you we have just begun to scratch the surface. As an athletic trainer, I have training and several years of experience in the acute management of sport-related concussions (SRC). 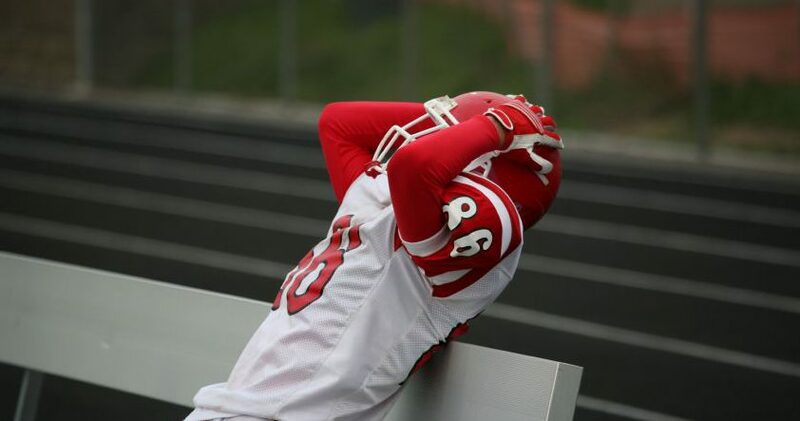 Recognizing the signs and symptoms while on the sidelines is the first step in the proper management of an athlete who has suffered a concussion. If you or your child have been a part of athletics, then you undoubtedly have seen this list before or one like it. Concussion symptoms can be acute or have a delayed onset. It is imperative to take all symptom reporting seriously and not diminish the significance of a symptom that has been reported to you. Now that you have recognized you or your athlete is displaying one or more of the signs and symptoms of a concussion, what do you do now? Removal of any player who is suspected of having a concussion is critical and is the state law in Nebraska. 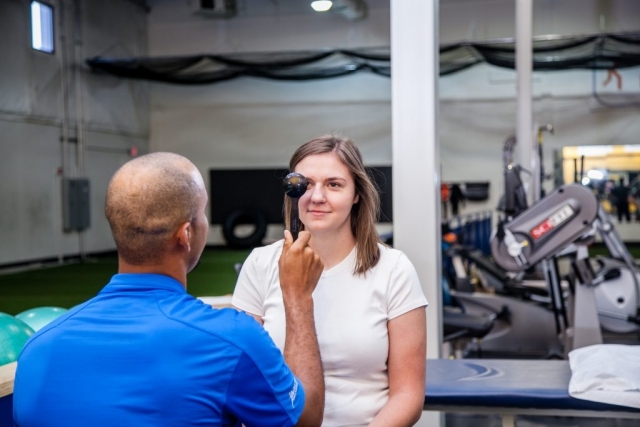 Before returning to activity after a suspected concussion, the athlete must be evaluated by a licensed health care professional who has training and experience in concussion management. If no health care provider is available, a coach or parent needs to arrange for urgent referral to a physician even if this means a trip to the emergency room. There are several important variables in the acute management of a concussion. Number one, two and three are communication. Communication of information between coaches, players, parents, teammates and health care professionals is essential for player safety. In addition to communication, we need to start to understand how concussions present. It’s not always going to be black and white. Concussions live in the gray. It’s time to start the discussion. Concussion doesn’t have to be this ugly buzzword that no one talks about. The potential for permanent injury or death as it is related to concussions has been well established. A 15-year-old athlete only sees one step ahead. It’s our responsibility as the adults in his/her life to see past the next play, next series, or next possession and understand what is really at stake. This entry was posted in Blogs, Physical Therapy and tagged management, learn, return, rehab, Concussion on February 8, 2018 by Athletes' Training Center.